This time of year is extra special for me. I always look forward to an annual event in late November that is the peak of “fall fun” right before the holiday season officially kicks off. Since I was a wee little freshman at Harvard University back in 2004, I have been attending the annual “Harvard versus Yale Football Game” with family and friends. My cousin Liam, who was a classmate with me at Harvard, was the starting quarterback for the Crimson. 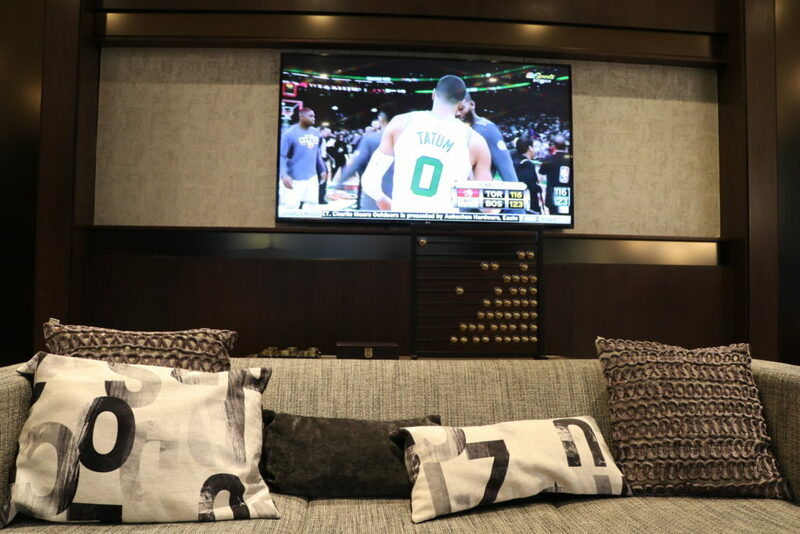 Our extended family has always enjoyed using the big game as an opportunity to gather in celebration as we cheer on Harvard but also get to party with cousins, aunties and uncles. 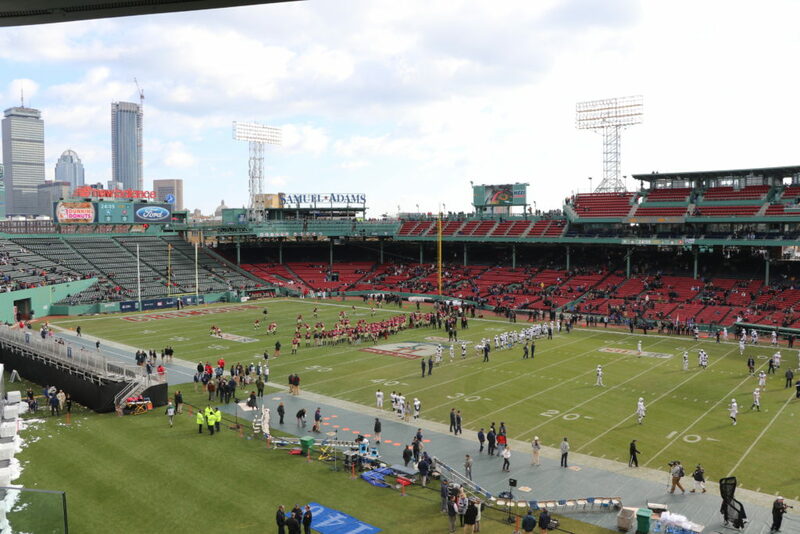 The game alternates each year between New Haven or Boston, typically played in the college stadium at each venue. 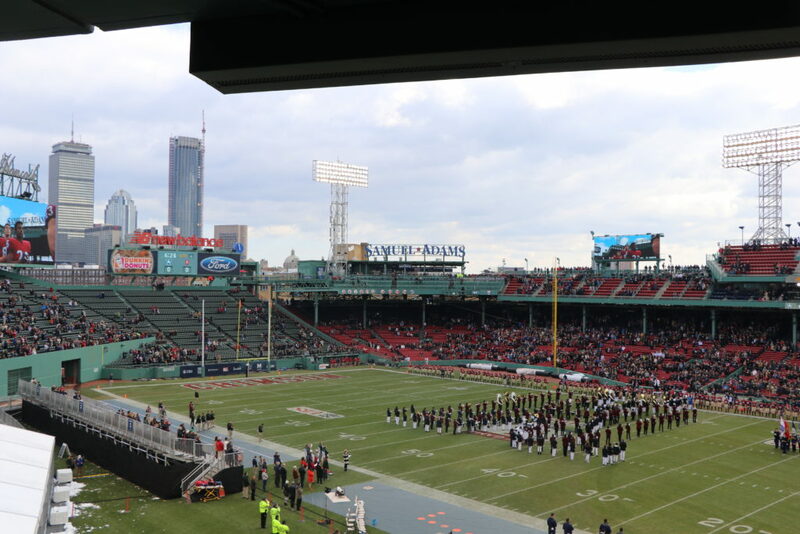 For the 135th edition of the storied football rivalry, the Harvard-Yale game was played right inside the heart of Boston. Yes, you heard me, for the first time in history the annual football game was played at Fenway Park – home to the Boston Red Sox. 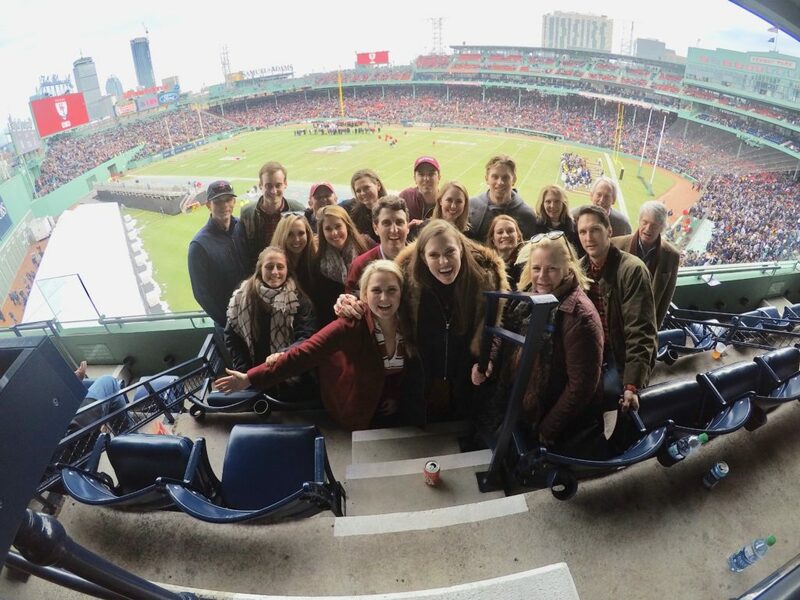 When we heard the game would not be played at the Harvard stadium like all the previous years, I received a call from a Crimson Theta sister who declared that she reserved a box suite for all the gals who were interested in buying a ticket for the box. With a ticket in hand, I headed to Boston for an unforgettable weekend of football in Fenway, friends and family! 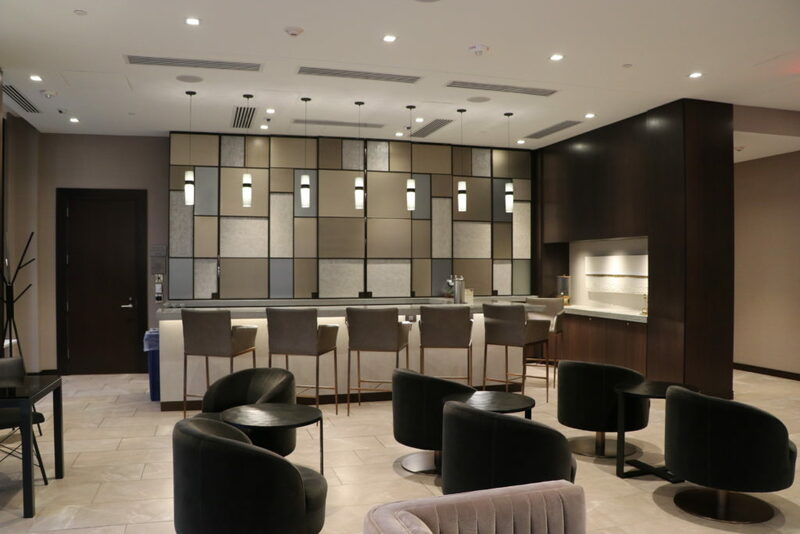 For today’s post, I am sharing insider glimpses of the legendary Harvard-Yale Game played at Fenway, along with a hot-new hotel feature for your next visit to Boston. See below for shots behind the Ladyhattan lens of the brand-new AC Hotel located in downtown Boston along with hotel highlights! Fenway Park is a baseball park located in Boston, Massachusetts for those of you who have never heard of the Green Monster. 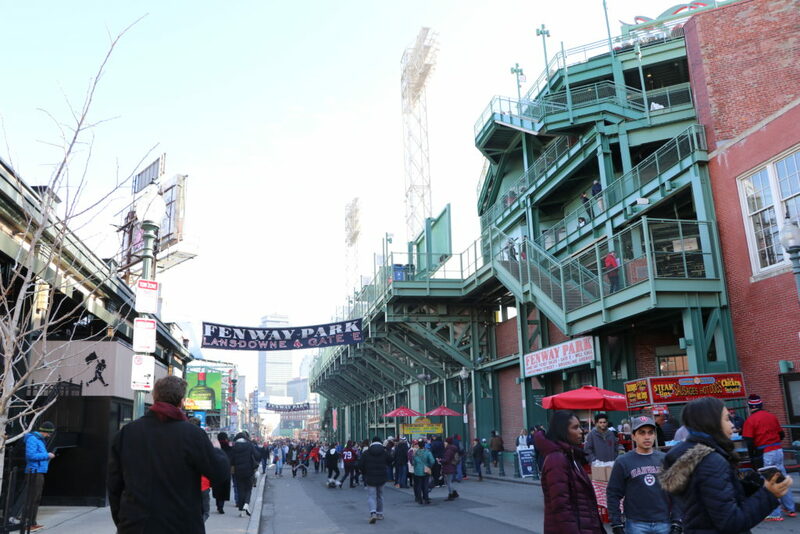 Since 1912, it has been the home for the Boston Red Sox and is the oldest ballpark in Major League Baseball. When it was announced that the annual Harvard-Yale game would be played inside the legendary ballpark, we were all super excited for this once in a lifetime sporting event. However, one of the key concerns was tailgating since we were used to setting up traditional tailgate parties all around the college stadium parking lots. 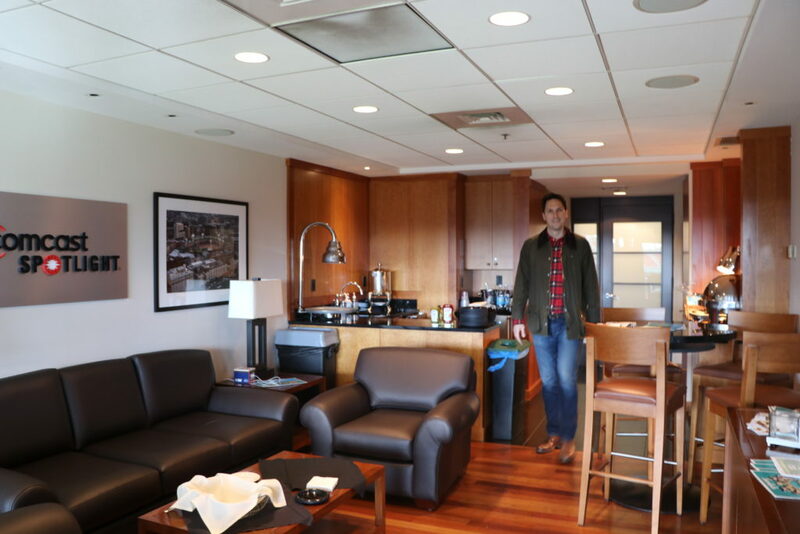 Since traditional tailgating would not be permitted outside of Fenway, I was thrilled when one of my sorority sisters from Harvard offered to buy-out a box suite and invite people to save a spot. I secured a spot for my husband (Prince Erik), my mom and my little sister who was a Theta at Stanford. I was excited for my sister to meet my other “sisters” from Harvard who share the common bond of Theta! 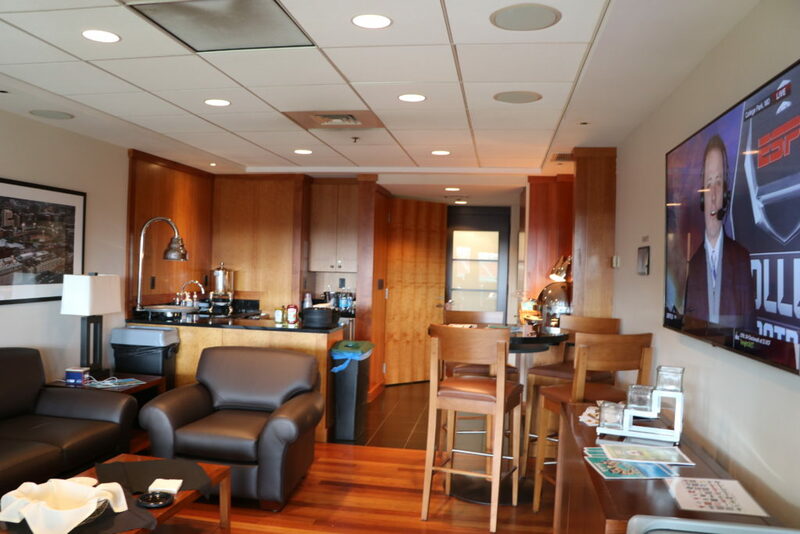 When we got to the box suite I was blown away with how luxurious it was and how great the views were of downtown Boston just beyond the football field. The convenience of being able to order food, drinks and have a private bathroom made the box worth every penny. 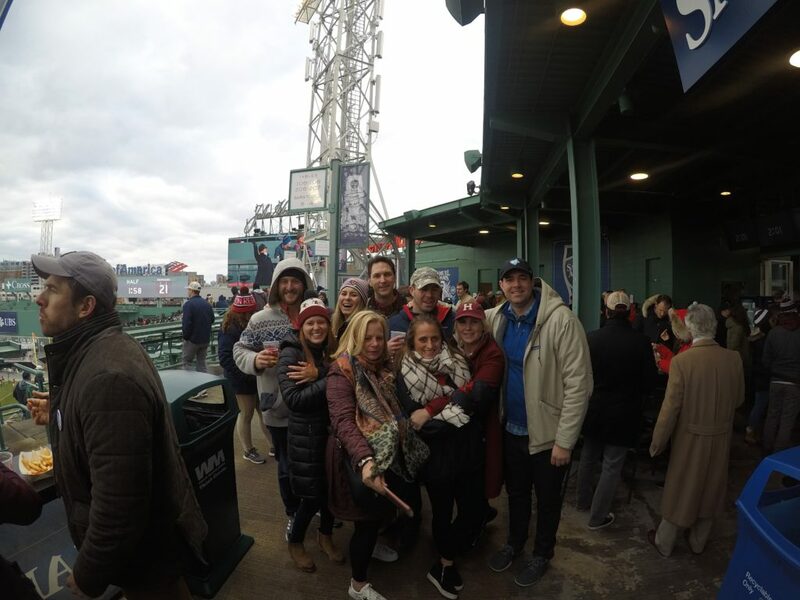 We gathered with numerous other college friends and sorority sisters who brought their husbands, significant others and family members to the celebratory game. 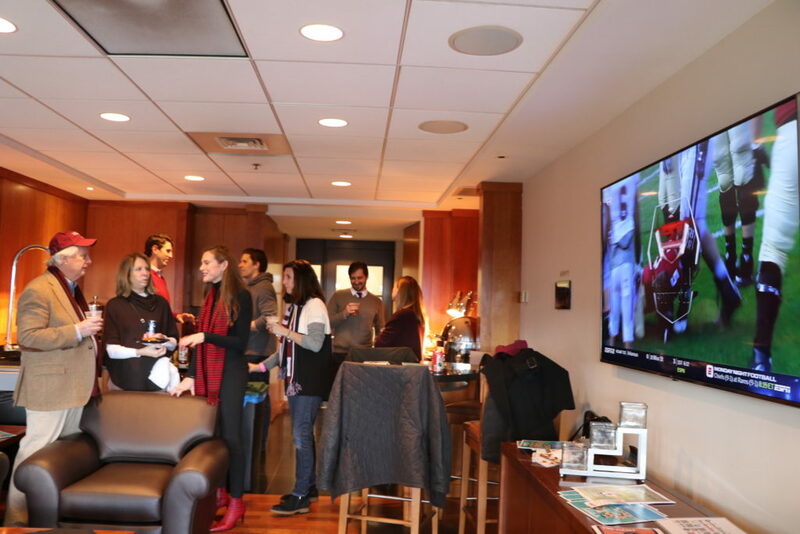 We enjoyed lots of laughs, hot-dogs and beers throughout the day in the comfort of the warm box and cheered Harvard on for a big win over Yale. At halftime I popped up to say hello to my cousins who were partying hard on the Samuel Adam’s rooftop of the ballpark. 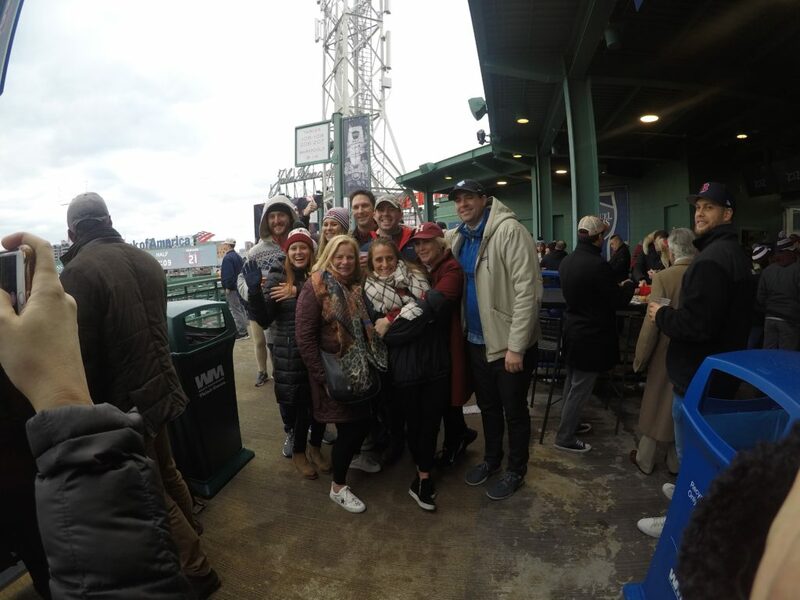 What a fun day back in Boston! For this short but sweet trip to Boston, I wanted to be sure I picked the very best hotel option. 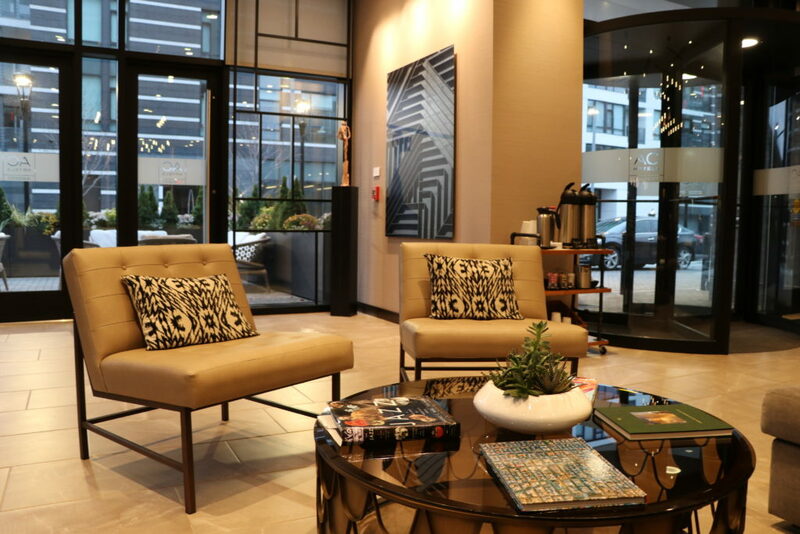 With brand new locations for AC Hotels by Marriott in the Boston area, I recently had the pleasure of selecting to stay at the Boston downtown property. 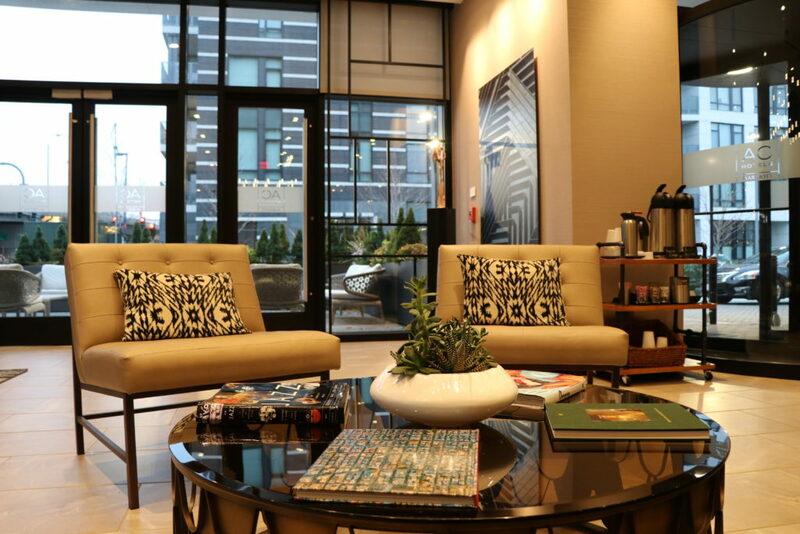 Nestled near the brownstones of Boston’s historic South End, the AC Hotel Boston Downtown provides effortless access to local eateries, attractions, shops, and theaters – just steps away from the hotel. 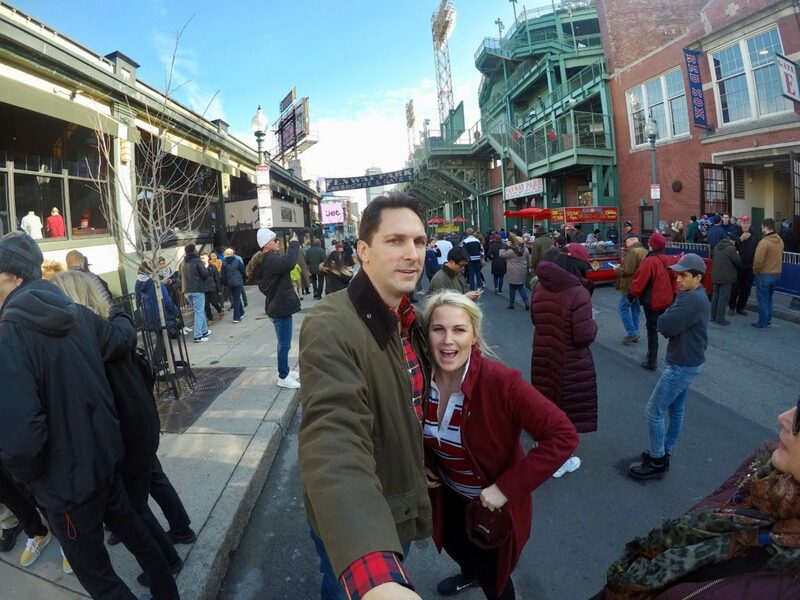 We enjoyed a brisk fall walk admiring the gorgeous neighborhood and even walked an easy mile over to Fenway for the big game – talk about a convenient location where you are right in the middle of it all! 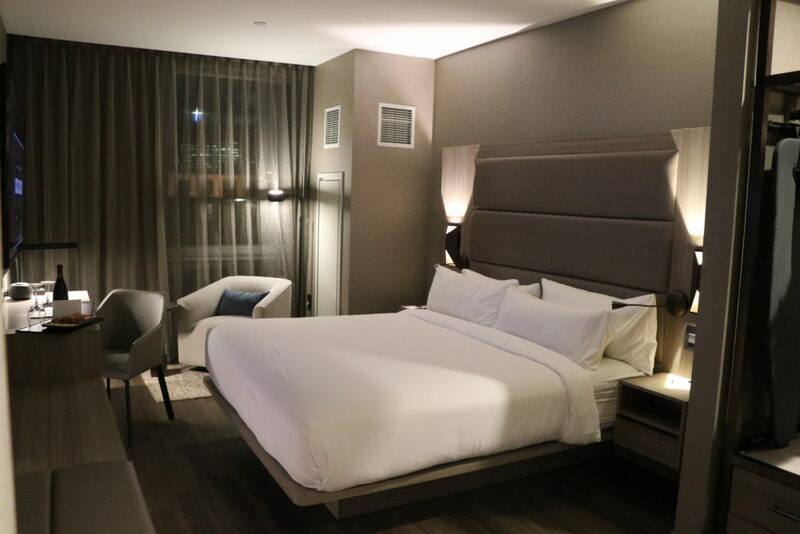 I was super impressed with the sleek, modern and gorgeously designed rooms and common areas of the hotel – including a stunning open lobby and cocktail bar, a brand-new fitness studio and technology center for guests. As far as hospitality and service, this hotel brand takes it to another level through thoughtful details. 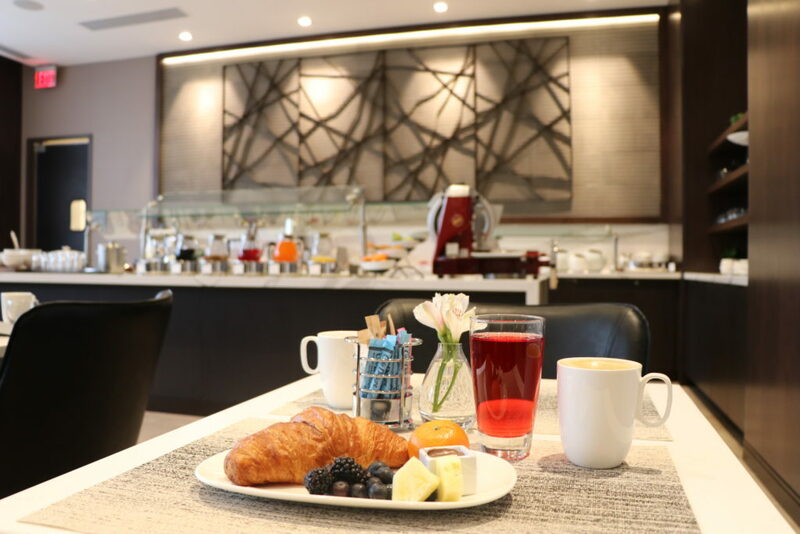 All guests enjoy a complimentary breakfast drawn from European inspiration. 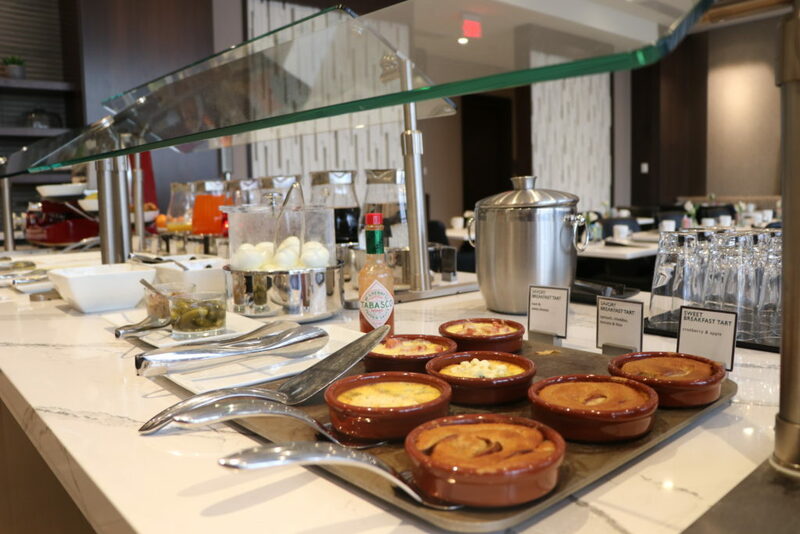 AC Hotels strategically replaced traditional room service with the flexibility of a quick snack or evening tapas plates. 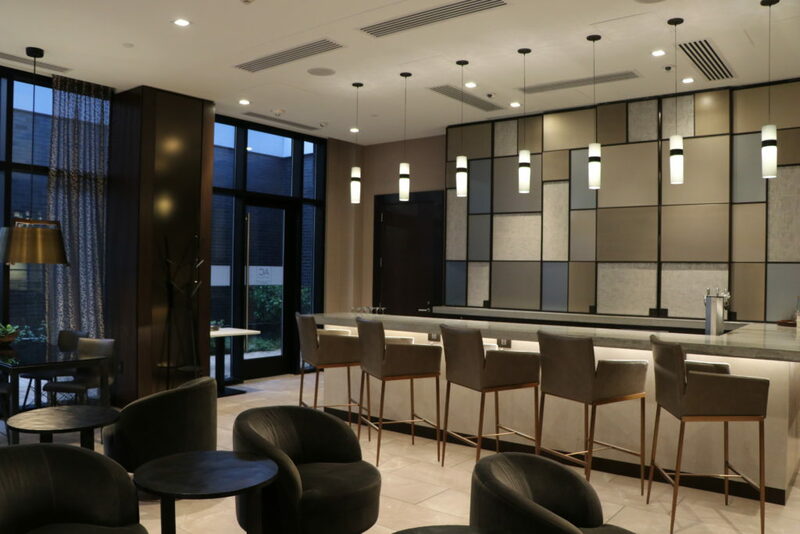 The bartenders are all locals who have been carefully selected by AC to ensure that guests can enjoy a cocktail with true urban spirits who will share the unique buzz of the city and all it has to offer. It’s an experience that has been designed to give you the essentials of your stay. 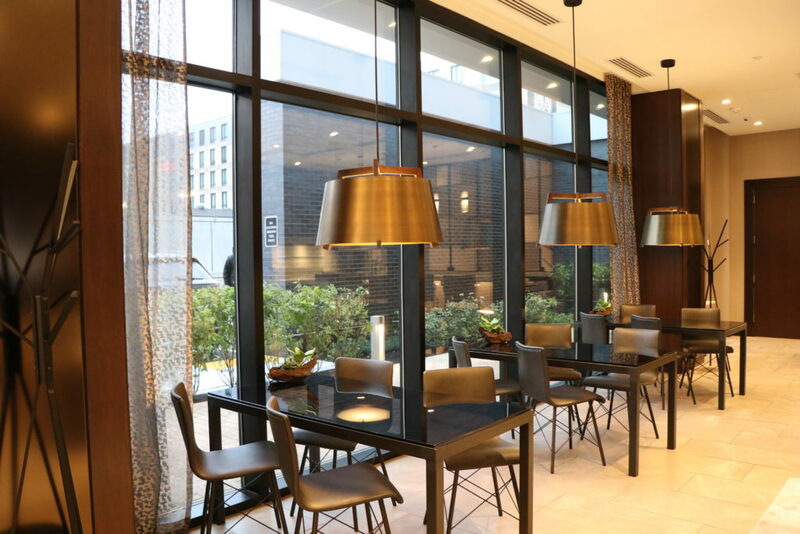 The overall vibe of this new hotel brand in the Boston area screams European travel-chic. Everywhere I travel in the US, I am also disappointed that breakfast is not included as it commonly is in European hotel chains. 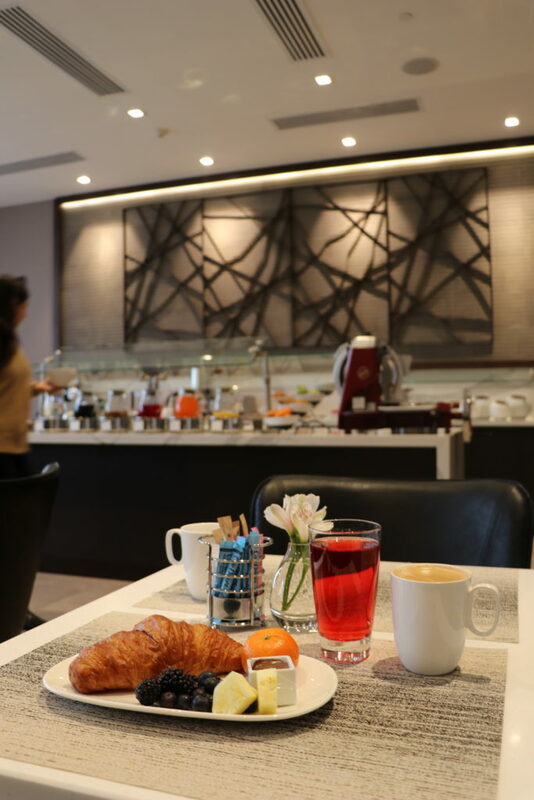 AC Hotels breaks the “American rules” and offers all guests of the hotel a delightful and generous breakfast spread – just like in Europe. Scroll on down below for a few Ladyhattan glimpses of this new property along with an easy to access Ladyhattan Guide featuring key information and highlights of this property.